Mieten Sie schöne und ruhige Studio im Zentrum von Arroyo de la Miel, Benalmádena. mit Klimaanlage, Küche, geschlossene Terrasse und herrliche Aussicht, 10. 000 m2 Grünflächen, 5 Schwimmbäder, Gemeinschafts-Parkplatz, Bushaltestelle vor der Tür, Zug 5 Minuten, Supermarkt zwei Minuten und 700 Meter vom Strand entfernt , 24 Stunden Rezeption, ideal für Ferien, maximal zwei Personen, Haustiere sind nicht erlaubt. A really great studio apartment, well equipped and central. I had a lovely stay in this studio which is surprisingly spacious with a kitchen with everything you could possibly need, a bathroom with shower and even a washing machine and a lovely balcony looking out over the swimming pool. The owner, Mario, is a very friendly and helpful man. I will definitely rebook this apartment- an amazing find! A very clean and well maintained apartment with excellent air-con which was essential in August. The pool area was also very good, no snack bar like Minerva but the Hercules has a cafe and supermarket at the front so no problem. Very close to the busy Bonanza square and a relatively short walk to the beach. The only suggestion would be a room safe but that's a minor thing. The owner Mario was very helpful and contacted me regularly to make everything was ok, would definitely stay here again. nos gustó mucho el pasar estas vacaciones en España. Volveremos de seguro. Vraiment une chance quand on vient pour la première fois en Andalousie. Toutes les commodités à portée de main, plage et gare pas loin, nous reviendrons, et enverrons nos chers amis. 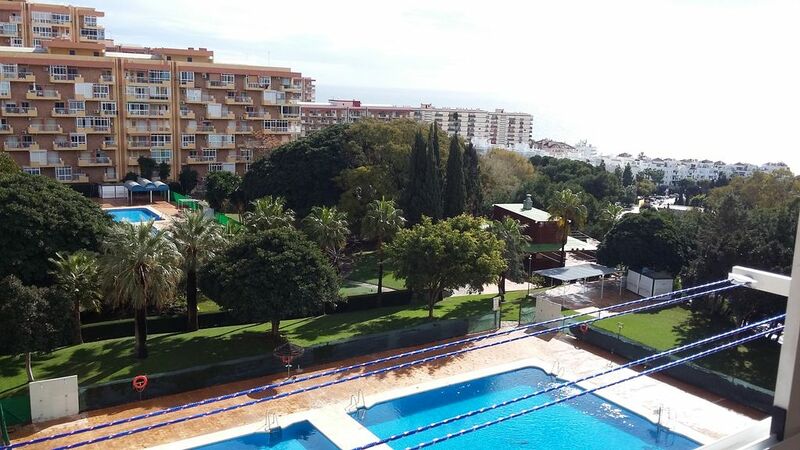 The apartment was well presented, spotlessly clean and well located within 10 minutes walk from the sea in one direction and 10 minutes walk from the central Benalmádena shopping area in the other direction. Although my booking was at short notice, communications with the owner Mario was instantaneous and easy. I never actually met him, but nevertheless he responded to my questions usually within minutes (we were using WhatsApp). I would definitely recommend this apartment to others. It was 100%. Muchas gracias, Tony ha sido un huésped ejemplar, lo ha dejado todo limpio y ordenado y ha cumplido todas las normas, vuelva cuando quiera, aquí tiene su casa.